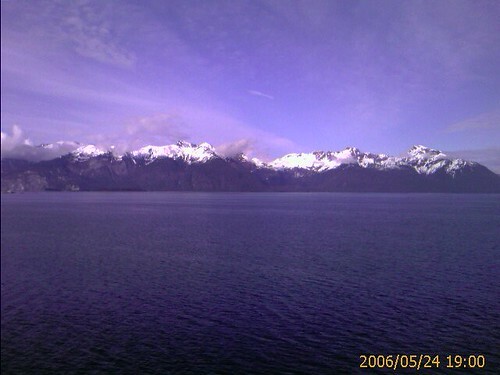 We’re on our way out of Glacier Bay National Park after a day of cruising. Today we saw several glaciers, whales, seals, eagles, Dall sheep, and sea otters. The weather started out quite cold and damp. I was wearing four layers trying to keep warm. But by the the time we reached the first glaciers, the sun came out and really warmed things up. Tomorrow we’ll be in Skagway where we will be going on a shore excursion to see sled dogs. Can’t wait to play with the puppies! WiFi costs extra on the ship, so hopefully I can find some free access while in port so I can upload this post.